The Review: Sometimes, all you need to enjoy a novel properly is the right context. That might mean the right atmosphere or soundtrack – but it can also be a sentence or phrase or thought that puts the novel into frame. A trigger, if you will, that suddenly lines everything up. For this novel, that trigger was Dark Shadows. I read a Goodreads review that mentioned it – the series, not the Burton mediocrity – and suddenly the book made sense to me. 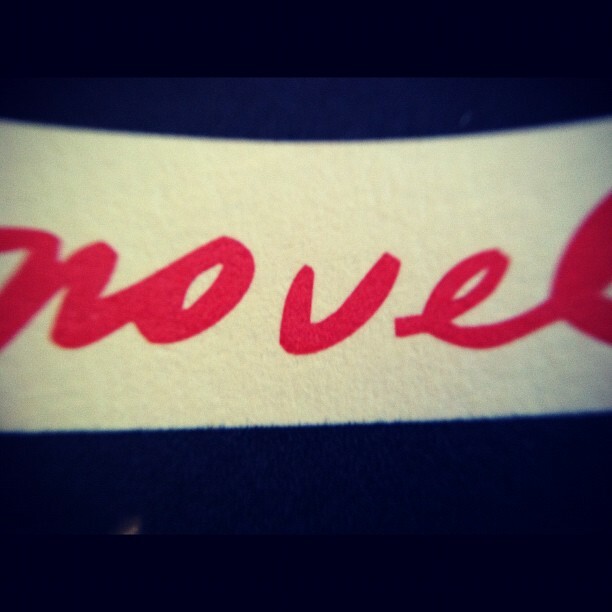 It is a messy novel, for sure damn sure. The beginning, especially, is a little trying – because McGreevy’s style is all over the place. It’s been a long time since I’ve had to re-read sentences in order to get the correct phrasing, let alone have to do it over and over again. It’s like McGreevy could’ve used a better editor to wrangle his prose into better shape. I can’t pinpoint anything in particular but it just feels like a lack of appropriate punctuation or purposefully obtuse phrasing. I’ve never, ever seen the word “superintend” used as a verb… and I hope I never do, ever again. But enough about the style. Let’s talk substance – because substance is where it’s at. You cut through the somewhat odd writing style and you have, truly, a modern Dark Shadows. We’ve got a werewolf (at least one), a Frankenstein’s monster type creature, some Gypsy magic, vampires (maybe), and a whole mess of family drama. It feels like a lot, at times, but I really didn’t mind. The mess is a rather engaging one. There are certain mythological rules that are established (the way that werewolves turn – and the whole werewolf mythos, in fact – was really well-explained) and then there also things left somewhat to question. McGreevy makes it pretty clear that the Godfrey clan are also touched by some sort of mysteriousness – the term upir, used very early on so this isn’t a spoiler – is kind of obvious when you compare it to vargulf, also used. But the details are left extremely hazy and it’s only at the very end (setting up a future novel?) that the Godfrey freaky comes out clear. The plot would, I think, be best described as a murder mystery: who (or what) is killing young women in the town? This mystery is resolved by the end of the novel, certainly, although the timelines are all a little cluttered when I think back. I’m still thinking, actually, and trying to place the “oh, so that happened BEFORE… ohhh, okay” – you’ll know what I mean when you get there. But the big climax – actually, the 100 pages or so leading up to it – begin to broaden the scope of this world by more than the novel can handle. Yet McGreevy does a decent enough job of making it at least somewhat manageable for the reader. You are allowed to understand that there is a significantly larger universe than we’re allowed to see and that is what it is. You can either be pissed or accept it. Me, I’m led to believe that he’s going to expand it in (hopefully) further novels or (more likely) on the upcoming Netflix TV series. What leads me to this conclusion? Call it intuition – a feeling in my Swadhisthana. Rating: 4 out of 5. I’m impressed, to be honest, by the sheer audacious batshit crazy scope of the novel. I can’t think of another author who would be able to throw all of these balls into the air and manage to keep most of them up for the duration of the piece. Do I wish that it had been a little less schizophrenic, a little less “let me show you how hip I can be?” with the email and conversation pieces? Sure. There’s a whole lot of style going on here and it’s not all necessary. But the fact that he can do it and make it look this good means there’s going to be more where this novel came from. For fans of family dramas, spooky stuff, and a little bit o’ crazy in your day, you could do a whole lot worse than this.